Stretchmarks to some might be a trophy after having lovingly experienced carrying a baby but to others can be completely undesirable. 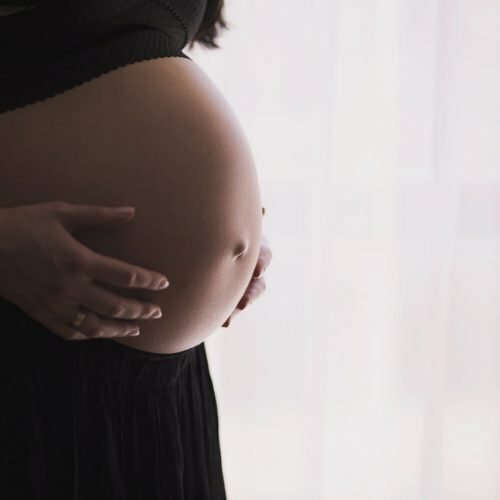 They start to appear on your belly after sudden weight loss, after giving birth and a number of other reasons which can be a shock to women who did not expect it. These unsightly lines are also called striae or striae gravidarum when you are pregnant. They can have a negative emotional effect and a drop in confidence. You can choose to not let them affect you and live with them like a lot of women happily do, but nobody would blame you at all if you wanted to remove them! Fortunately, there is a great variety of stretch mark reducing products out there so you can kiss them nightmare stretchmarks goodbye or at least minimize their appearance! Either way, once you find a stretch mark cream that works for you, it can serve as a more convenient and cost-effective alternative to expensive procedures such as laser therapy. We will start out with the most popular stretch mark cream available on the market. The Body Merry Stretchmark cream has been shown to greatly reduce the visibility of stretch marks and scars with the use of organic ingredients. It also doubles up as a prevention cream too as it’s certainly worth it to start preparing your skin when you know there is going to be a sudden loss of weight in the area. The cream spreads nicely and is absorbed into the skin quickly leaving no residue; it really serves to hydrate the skin and also even the skin tone by removing rough skin, blemishes, and marks. Many people find this cream to be effective and it’s due to the unique blend of ingredients it has that makes this cream so satisfying. It contains organic shea and cocoa butter which hydrate the skin and give the cream its rich, creamy texture. It also contains other natural and luxurious ingredients that benefit the skin including sunflower oil, plant stem cells, seaweed extract and green tea all work together in this mixture to promote healthier skin. Overall this cream works wonders, is a great price and is made out of high-quality ingredients. Another stretchmark and scar cream combination is brought to you by Natural Riches. This product also has a heavy emphasis on the use of rich, organic ingredients such as cocoa butter, almond oil, and shea butter. Not only are essential vitamins for skin growth and repair included in this product but I also feature a high concentration of antioxidants to protect your skin from DNA damage that can be caused radiation damage like UV rays. This stretch mark cream is effective at removing hypertrophic and also keloid scars, it just takes daily treatment and patience. The cream nourishes and hydrates the skin to even out your skin tone and restore your skins fresh appearance. This cream is all about the prevention of stretch marks and is made from a formula which has years of research in pregnancy-associated stretchmarks behind it. The cream is quite a bit more expensive than others on the market for the amount you get but what’s important is its highly rated and well effective at stretchmark prevention. It’s a very beautiful but heavily scented cream which some with a sensitive nose or skin may not appreciate so much. This product owes its effectiveness to a natural ingredient; avocado peptides, which is packed with nutrients and vitamins that the skin loves. There are no ambiguous chemicals such as parabens, caffeine, phthalates, ammonium lauryl sulfate, etc. that are included in this product, most of the ingredients are organically sourced. Another heavy-hitting ingredient found in this cream is Galactoarabinan which is obtained from larch trees. Galactoarabinan encourages the skin to have more elastic properties enabling it to withstand more stretching and thus less likely to develop stretch marks. This cream by Mommy Knows Best is solely focused on removing stretchmarks, blotches, age spots and skin discoloration but not preventing them, this one is best for mommy’s who already have the problem. This cream is strong, effective and produced here in the USA; a great incentive to go for this product over others is to support our homegrown industries. The cream is packed with all of the essential vitamins to nourish and revitalize the skin. It leaves your skin feeling smooth and hydrated after a few days use thanks to the combined effect of cocoa butter, retinol, jojoba, vitamin E, and a wealth of other organic ingredients found in this product. This cream really can produce some spectacular results and with a price like this, it’s well worth the results; defiantly a great value, homebrew product which deserves your attention. Even though you may find your stretchmarks unpleasant, it’s important for you to know that the stretchmarks do no cause any harm to you at all. They also don’t tend to have any medical implications except for very rare medical conditions according to WebMD. With so many brands and products to choose from it can be difficult to know which the best stretch mark cream for you is. It’s a great benefit to get some background information about the products so that you know what to expect and how to get the best value for your money. If you are newly pregnant or looking to lose weight and are doing research pre-emptively, you have done the right thing, as prevention is by far greater than the cure. There are preventative stretchmark creams available but also other useful ways to prevent stretch marks when pregnant that would be useful for you to know. Having said that there is a great selection of creams focused on getting rid of already present stretchmarks by removing dark marks and tightening the skin. Typically, the creams can also be used on scars too. Women also find the time to apply their stretch mark cream when listening to their unborn child. They would apply it to their belly just after they have been connecting with their child with a fetal doppler just because its an easy time to do so. It’s key to ensure you get exactly what you want out of the cream you want even if that means ignoring cheaper options. Different creams can offer different properties and benefits which can vary quite a lot. The way to know whether or not you are dealing with one of the best stretch mark creams and that it is worth your money is to know what you want out of the cream. You’ll find a lot of the creams also offer extra functions and features. When the creams double up like this, it really adds value to the product. Keep an eye out for the following properties when looking at the products and see how they can benefit your life or save you money. The creams ability to actually reduce the visibility of stretch marks and scars is owed to the high number of various ingredients contained within. Alpha hydroxy acids and zinc (for cell repair), when used in combination with minerals like vitamin C and other organic components, encourage the production of elastin, collagen to nourish and replenish your skin. The stretch mark creams available tend to double up for scar removal too and are usually quite effective at removing hypertrophic scars such as those form acne or small wounds. Additionally, you can find that some creams which are heavy duty and can help remove keloids. A cream that does more than just the main function is always great because it adds that extra value. Stretchmark removal creams cam offer hydration and replenishment benefits to your skin. The creams with these assets can also be used to relieve and repair damage after prolonged sun exposure. Some creams can reduce the attack that free radicals make on your skin, keeping your DNA safe from damage with the addition of antioxidants. This is a smart extra feature which is great for those who spend a lot of time in the sun. Some of you might like to apply your stretchmark/scar cream to your face for its benefits for whatever reason. Keep an eye out whether the cream is designed to not block pores. Plenty of people also love it when the creams are designed with the ability to even skin tone; it really adds a lot of value! This guide has shown that the best stretch mark creams available advertise a whole host of ingredients and benefits which can vary between products and find the best stretch mark cream for you it’s good to have a keen eye for details. Are there any stretchmark creams you have used recently? What do you think of the results? If you could go back in time would you have done more to prevent stretch marks? Let us know the answer to these questions in the comments below!